This organic tea is sold in a 20 count box of 0.6 or 0.02 oz. 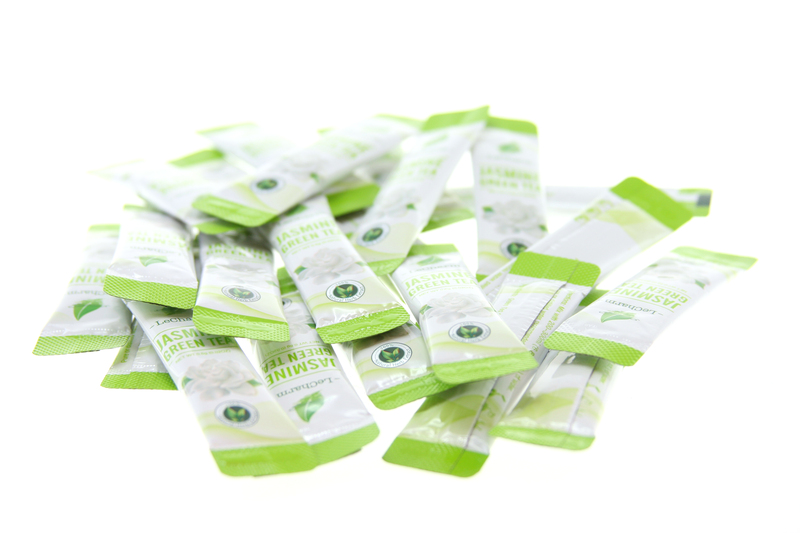 sachets, which provides an individual serving when mixed with 200 – 300 ml or 6.8 – 10 oz. of hot or cold water. 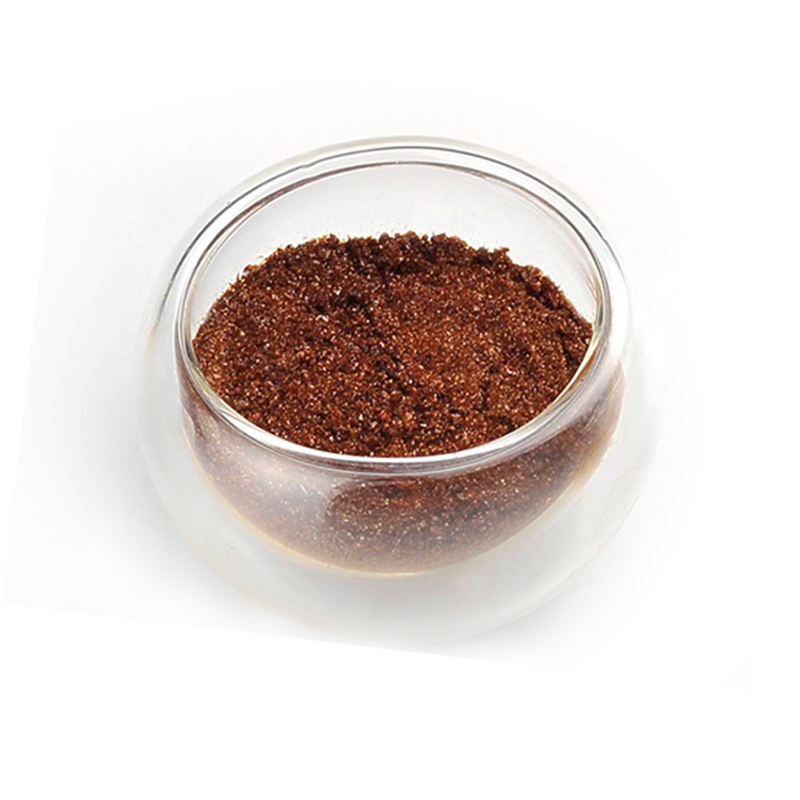 After shaking or stirring, the tea mixture will be mixed in thoroughly with no residue left at the bottom of the cup. Flowery aroma fills the air when preparing this Jasmine Green Tea. The taste is not much different than the smell is. 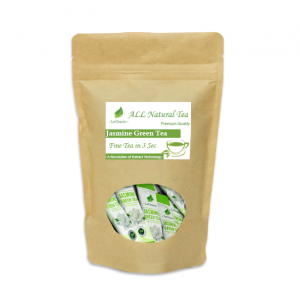 High quality tea extract and Jasmine petals are combined to create the flavorful and popular tea. The strength of this strong Jasmine flavor can be adjusted easily by adding more or less water to the cup. Whether someone prefers their tea hot or cold, the convenience of making this tea allows them to prepare it in any place, such as work, school or while traveling being able to have ice tea in 3 seconds. When considering the benefits for green tea, weight loss is one thing that comes to mind rather quickly. Reducing fat deposits allows people to lose weight quicker than other products allow them to. This is only one Jasmine Green Tea benefit though. Other benefits can include the calming of nerves for people who are anxious, skin health and many more. The powerful antioxidants that are found in this tea can help with immune health as well. There are many benefits provided to cancer patients that drink this regularly also. High blood pressure can be lowered easily as well as the risk of heart disease. Cholesterol levels are kept under control with this powerful tea as well. 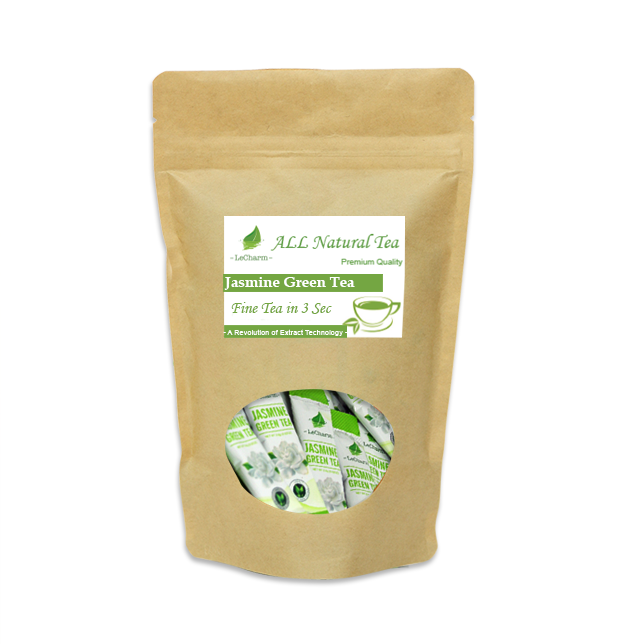 There are many benefits to drinking this Jasmine Green Tea regularly, whether it is sipped on all day or drank down immediately. This is why this makes a great gift for any type of occasion. Now this was an interesting item. I almost didn’t buy it, because it’s something I’ve never seen before, but I decided to give it a chance. It was really hard to imagine that tea made from extract could taste anything like regular tea. The item comes in a package that resembles a neat gift box. The tea packets inside are all finger-sized. The instructions were incredibly simple. Get some water, open the packet, and pour the packet’s contents into the water. You essentially skip the requirement for boiling water and having tea leaves soak in the liquid. Just pour and stir and you’ll have the end result. Good news is, it tastes just like regular tea! I can’t tell the difference at all. Well, there aren’t any leaves or leftover residue at the bottom of a cup, which is actually a nice benefit. Otherwise, it matches perfectly. It even has that subtle texture that you can feel on your tongue when drinking tea. It’s hard to describe, sort of like thin and woody sheets rubbing together ever so slightly. I’m pretty sure this is truly raw tea extract. It’s the best explanation for how the drink it produces has the telltale characteristics of a standard brew. When you hold it up to the light, you can tell that there aren’t any stray particles, unlike powder-type drink products. I tried several of their separate flavors, and they all taste pure and natural. I’m positive that the sweet tea variations are made from natural fruit extracts. They taste like I’m eating fresh fruit alongside the drink. Not too strong or overpowering, but a pleasant compliment. This actually feels healthy to sip. Portability is one of the best traits this item offers. First off, it’s great for exercise and sport. Since you can mix it with both high and low temperature water, you can instantly make iced tea to drink as you relax. Also, you know how airports prohibit you from bringing any type of liquid? You can’t prepare tea in advance to bring on a flight, but you can bring as many of these as you want. Just order some water then pour the extract in, and you’ll have fresh tea up in the sky. The same applies to workspaces. You can carry these anywhere you go. They’ll weight next to nothing, and you’ll be able to mix tea whenever you get yourself some water. All in all, I’m impressed and satisfied. It’s unheard of as far as I know, but it’s delicious. I’m really glad I decided to try this product.